​What value do you put on your reputation? A good reputation can set you up for success. A bad reputation can be destructive and difficult to repair. Having no reputation at all is a waste of a massive opportunity. How do some people have a good reputation while others don’t? How do some organisations manage their reputation successfully while others fail? 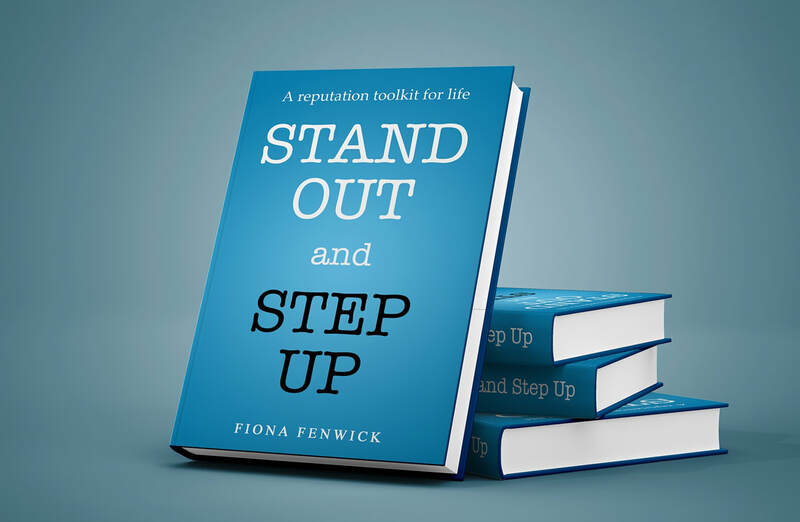 Stand Out and Step Up is based on Fiona’s international experience protecting the reputations of prominent individuals and organisations from global giants to small start ups. It covers what you need to know to understand the value of reputation and how it can shape your success. Would you like to see two chapters? Fiona knows about reputation and communications. successfully developing and protecting the reputations of both individuals in the public eye and a wide variety of organisations from global giants to small start ups and everything in between. Fiona was born in Edinburgh, Scotland, educated in Hong Kong and has lived and worked in Europe and the USA over a full and varied career. Fiona’s international experience and diversity of roles provides unique experiences to be drawn upon when helping others understand the value of reputation and how it can help to successfully shape lives. Fiona is an in-demand international speaker where she entertains and educates in equal measure, as well as a media commentator and columnist. When not with clients, Fiona lives the ‘good life’ on her vineyard in New Zealand’s beautiful Marlborough wine region, with her husband and her adored labradoodle muses - Molly and Smudge. ​Contact Fiona to start important conversations on reputation and discover what it means to both personal and corporate success. "A must read for personal brand building"
"Stand Out and Step Up cuts through the jargon and shares practical tips on how to set yourself apart from your competition"
​" It's like having an inspirational chat with Fiona. Her informal style makes for easy and entertaining reading"
"This book has helped me make plans to differentiate myself from the pack and Stand Out."